Johnson Matthey Fuel Cells is a global business dedicated to the supply of high quality fuel cell components. We work closely with our customers and suppliers to develop tailored products for specific applications, designs and operating conditions in order to achieve the best possible performance. Fuel Cells were first demonstrated in the 1830s when William Grove used hydrogen to generate an electric current with the help of a platinum catalyst supplied by Johnson and Matthey. For more than one hundred years, the fuel cell remained an invention without a practical application, only to emerge in the 1960s as the ideal source of onboard electricity and water for manned spacecraft. Johnson Matthey continues to supply electrocatalysts for fuel cell systems used in the NASA space programmes. In the early 1990s, Johnson Matthey began intense research and development efforts in PEM fuel cells, specifically fuel cell components. 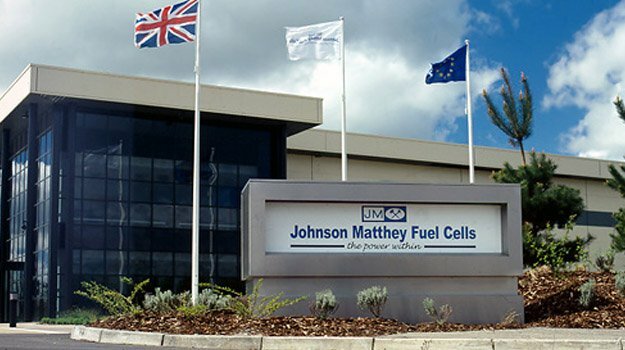 Johnson Matthey Fuel Cells Ltd was formed in 2000 and demonstrates Johnson Matthey’s commitment to fuel cell technology. Anglo Platinum, the largest platinum supplier in the world and a long-standing collaborator with Johnson Matthey in fuel cells research over the years, took a 17.5% stake in Johnson Matthey Fuel Cells Ltd in 2002. Within the rapidly changing fuel cell market, Johnson Matthey Fuel Cells works closely with customers and suppliers, developing tailored products for specific applications, designs and operating conditions to achieve the best possible performance. In the coming years, fuel cell component design will continue to evolve as fuel cell technology becomes a part of our everyday existence and Johnson Matthey Fuel Cells is committed to be at the forefront of this development activity.